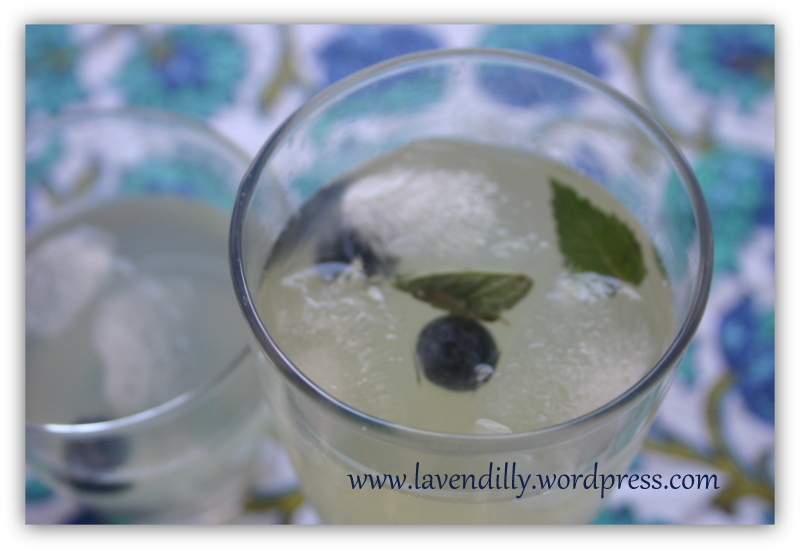 Recipe: Home Made Lemonade with Mint and Blueberries. I’ve become a recluse. It is too hot to go outside and too hot to do much of anything, really – except go for a swim. This week we’ve gone to three different waterholes for a splash, a good long soak in the Brunswick River, and of course in the pool every day, which is like a warm bath with 30 degrees water temperature. There is little point getting dressed, my toddler is naked all day and the other two just keep their swimmers on. Our poor chooks are seeking refuge under our deck. I wouldn’t want to be wearing feathers right now. In the meantime I’ve been laying on the couch reading my book, eating salads and drinking a variety of cool drinks: iced coffee, iced chocolate, smoothies, fresh juices and lots of water. 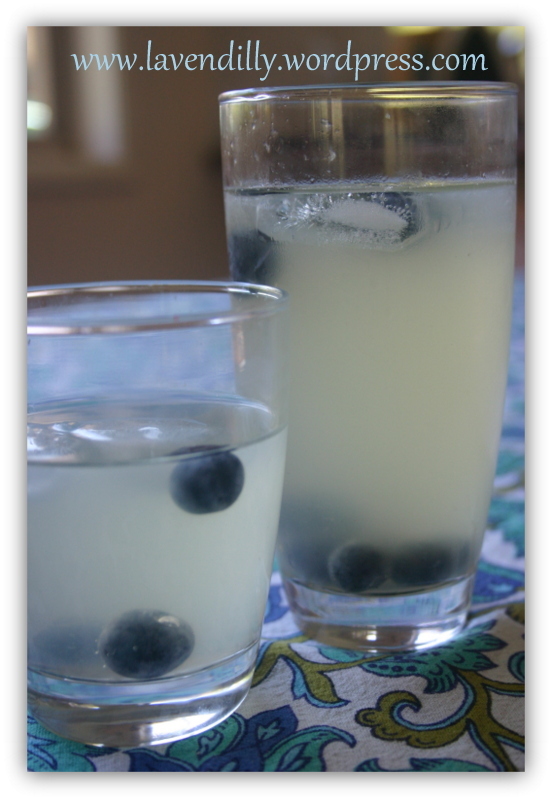 Today’s sweet cooling drink was home-made lemonade with mint and blueberries. No sugar. It is tangy and sweet, fresh and revitalising. 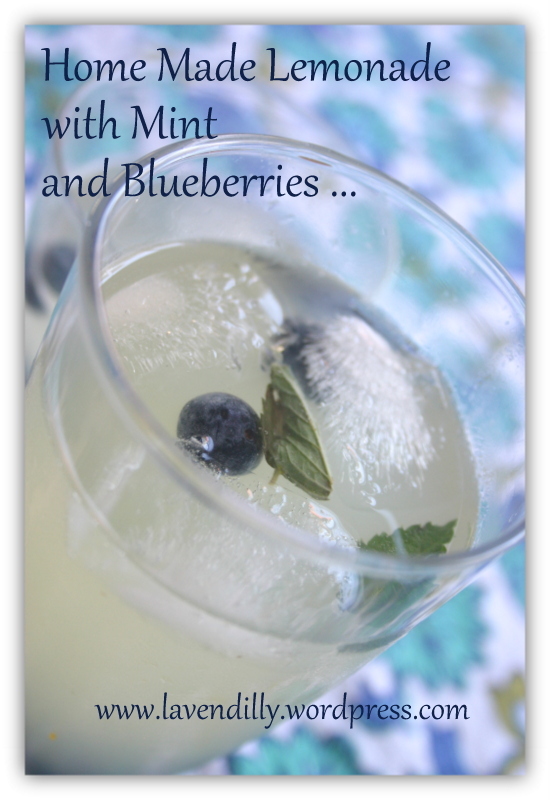 Lemon and honey are a great combination hot or cold, but with blueberries and mint it is delicious. I recommend teaching your children to make it, then you don’t need to leave the couch. Mix the honey with the hot water in a cup and stir until the honey melts into the water. Pour into the cold water with the lemon juice and stir well. Add mint leaves and sit in the fridge for a while to chill and let the mint leaves mingle flavours with the lemon. To serve pour into a cup with ice cubes and a few blueberries. Find a hammock and a good book and enjoy. Yum Jen!! Might make this tomorrow!